Orabase Protective Paste acts like an invisible bandage to produce an environment conducive to healing. It adheres to moist areas. 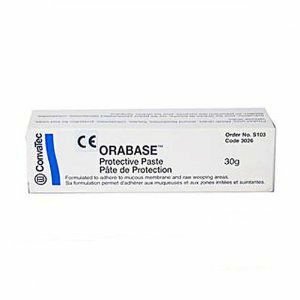 Orabase Protective Paste is a smooth, ointment-like paste that adheres to moist areas. By acting like an invisible bandage, it provides an environment conducive to healing and prevention of damage. For the use on skin requiring absorption of moisture and protection from further damage. 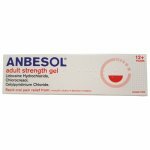 Use to fill irregularities and depressions on peristomal skin around ileostomies, colostomies, and fistulae to facilitate the application of stoma care appliances. 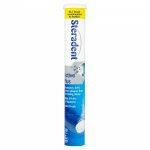 Can be used in the mouth and on gums. 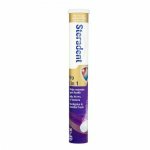 Take a small dab of Orabase paste and coat the involved area of the mouth with a thin film. Hold in position until it becomes sticky. Do not attempt to rub it in. 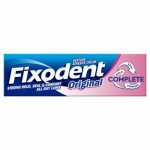 Use as often as needed for continuous relief particularly after eating, or use as directed by a dentist or physician. Fill in skin defects such as folds or operation scars around the stoma with Orabase® paste prior to the application of Stomahesive waters. When a flange is used squeeze a ring of Orabase paste liberally around the stoma to provide a seal, then pack cotton wool on top of the Orabase paste and press down towards the flange.